Your nonprofit website is supposed to help new people – prospective donors, members, and advocates – find your organization online. But, what if it’s not showing up in the search engines? To understand keywords, you must first have a basic understanding of search engine optimization (SEO) practices. At root, SEO is simply a matter of helping the search engines, such as Google and Bing, decide when one of your web pages should by highly ranked as a relevant result for a specific search query. Some time ago, Wild Apricot posted a 30 Day Guide to Search Engine Optimization, a 4-part series by Lance Trebesch and Taylor Robinson; most of the information you’ll find there is still current. Google’s own 32-page SEO Starter Guide [PDF] has been updated for 2011, making it much easier for the layperson to read, understand, and take action on. If you prefer to get your information “straight from the horse’s mouth,” this guide’s for you. Aaron Wall’s SEOBook.org is a comprehensive online Nonprofit’s Guide to SEM that covers the basics of SEO and keyword research, then delves into broader areas of using “search engine marketing” and social media to connect – cheaply and effectively – with your donors and supporters. 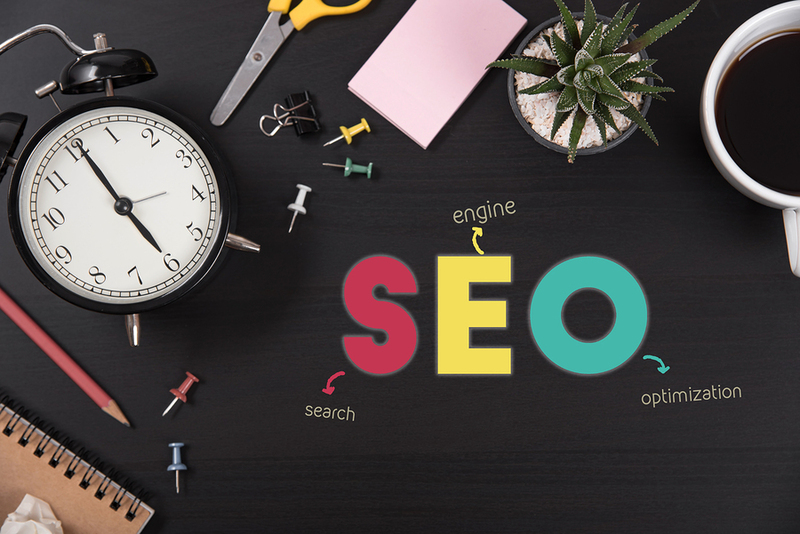 Or, if you prefer to learn in audiovisual mode, Ventureneer offers a free recorded webinar that you can access online at your convenience: Search Engine Optimization (SEO): What Every Small Business and Nonprofit Needs to Know. Too much information, and not enough time to take it all in? Once you have a basic understanding of SEO, "Keywords" are quite simple to understand. “Keywords” are nothing more than the words and phrases that people type into search engines – questions in search of answers – so Job #1, in choosing the specific keywords for which to optimize your nonprofit’s website, is to get into the mind of the person who’s doing the searching. You don’t need to compete with the whole world for attention. You just have to reach the right people. Is it important that this piece of information ranks well? Is this what we want to be known for, first and foremost? And is that search query bringing in people who really want to know more about your group and its cause? Coming at it from the other angle -- search engine, versus searchers -- you can enter your URL in Google Adwords’ free keyword tool to check what your site appears to be all about in the eyes of the search engine. Do the suggested keywords seem to be on-topic and appropriate for your organization? Who are the people you want to be able find your organization online? Odds are that your primary target is not your board members or colleagues! Of course you want your existing donors and supporters to be able to find your website easily, but the real challenge for most nonprofits is to attract new people – prospective supporters and advocates for your cause – by way of search engine traffic. If your keywords don’t seem quite on target to draw the right audience – especially if your analytics show a high “bounce” for search engine visitors – it’s time to brainstorm for better keywords and tweak your web content accordingly. SEObook’s free, web-based keyword list generator lets you quickly generate a large number of keyword phrases by mixing and matching a set of individual keywords you enter. And, again, Google’s Adword keyword tool can help out with suggestions – type in a promising keyword phrase to see what related keywords come up. If you like, you can also take a look at the search volume numbers in the Adwords tool, to get a rough idea of how many people are actually using those keywords in search queries. Filter by country and language, to get a slightly more useful gauge of who’s doing the searching – but don’t get too concerned about search volume. Small nonprofits have an advantage here, remember: we don’t need to reach the whole world. “Children’s charities” has a higher search volume than “children’s nonprofits” – more people per month are searching for the first of those terms, according to search engine traffic tools. But if you’re running a local branch of the Boys & Girls Club – a nonproft organization that serves children – does that mean you should “target” either of those keyword phrases in your website content? You may be the Association of Widget Professionals, but where are you located? If you're in Toronto that's great news for me because I am too! But, if I'm searching for "widget professional networking events in Toronto" and you haven't put "Toronto" in your event title or description, I may not find it among the many other widget professional networking events taking place across the globe. In its funding proposals, your animal rescue group may talk about “population control in feral cat colonies” in its funding proposals – but how do your volunteers talk about your mission to their friends? Are you “fixing stray cats,” in the real world? For purposes of SEO, as Katie Powell (@phillypowells) pointed out in a recent Twitter chat, “nonprofits need to learn what words visitors associate with your agency, don't just rely on inside-agency lingo”! Snoop around on Facebook and Twitter, take a look at outside press coverage of your organization, and read through some of the emails and letters you get from members, supporters, and the general public. What kind of words do people outside the organization use to talk about your organization, its mission, the work you do, and the community you serve? Nail this down, and you’ve got “keyword research” pretty much licked – because those are the very terms that prospective supporters are most likely to type into the search engines, when they’re trying to find your nonprofit online. Editor's Note: This post was originally published in June 2011 and has been updated for accuracy and comprehensiveness. Great post and helpful hints for nonprofits trying to achieve an online presence. Having a useful website - and one that people can find is critical to success in today's marketplace. Having a website is no longer just an option for organizations - you're quite right there, Amy. Increasingly connected and increasingly mobile, more and more people now look first online for information about nonprofits - and for information on topics where nonprofits have experience and expertise. So, making sure your website gets found in *relevant* searches is an increasingly effective (and cost-effective) way for small nonprofits to spread the word. Thank you for this information. Most of us small non-profits are running on little or no budget and we appreciate any help we get. Knowing the basics of SEO can carry our organic growth a long way and save the donations for what they were intended for. Best of luck to all of you doing something that is good for the world we live in! Thanks for featuring my primer on SEO - I developed it while I was working for The Nature Conservancy a few years ago. Glad it's still coming in handy for folks. There's a few more good SEO resources on my SlideShare site at http://www.slideshare.net/jcolman that are aimed at nonprofit professionals. Check 'em out!